Curious about a house or condo with a for-sale sign out front? Soon, finding a listing is as easy as snapping a photo of the sign. Realtor.com, which publishes a comprehensive online database of for-sale properties, is adding two new features: Sign Snap and Street Peak, both designed to help you find a home faster and more easily. Using image recognition and GPS, the Sign Snap feature lets you snap a photo of a for-sale or for-rent sign of a real estate property that catches your interest. The app then goes through the millions of properties in realtor.com’s database to pull up the listing for the property that caught your interest. The listing provides photos, price, open house dates and complete details about the property. You can share the listing with others through email, text and social media. 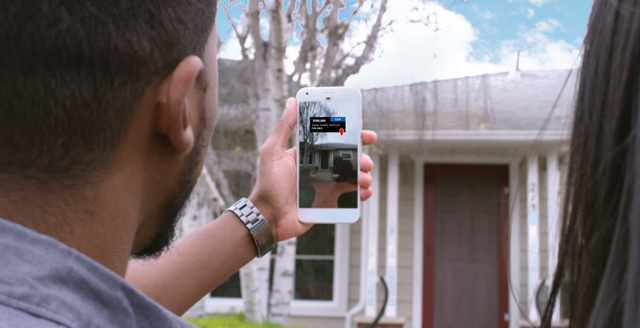 The Realtor app's Street Peek feature will let you view properties through augmented reality. Just point your smartphone camera at a house or group of houses to see realtor.com information about them. The information is displayed as an overlay on the image of the house. You’ll be able to see the house’s listing or rental price, recently sold price, estimated value, and number of bedrooms and bathrooms. If you want to check out what else is nearby, you can view a neighborhood map by tilting the phone screen. You can also see pricing information for properties that aren't for sale. To view more details about a house, just tap the info card. The app allows you to apply filters so you can narrow down lookup results to specify types of properties. It also tracks your history of street photos and viewed listings, so you can quickly view them again. 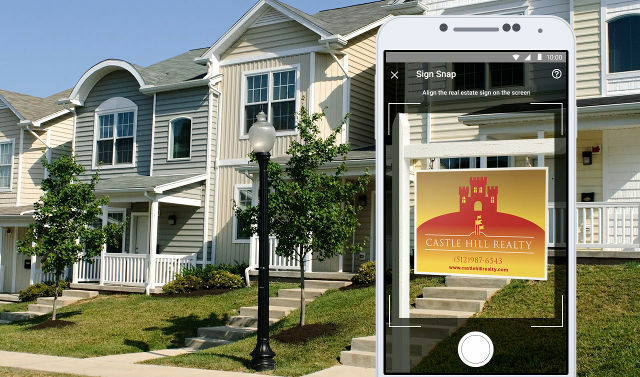 This Sign Snap feature is now available in the latest version of the Realtor.com app for Android. Street Peek will start rolling out to Android phones in spring this year. Availability of these features for the iOS version of the app will follow. Also looking to sell your house? For eye-catching photos of your for-sale house to go with your listing, make sure you pick the best camera for real estate photos.